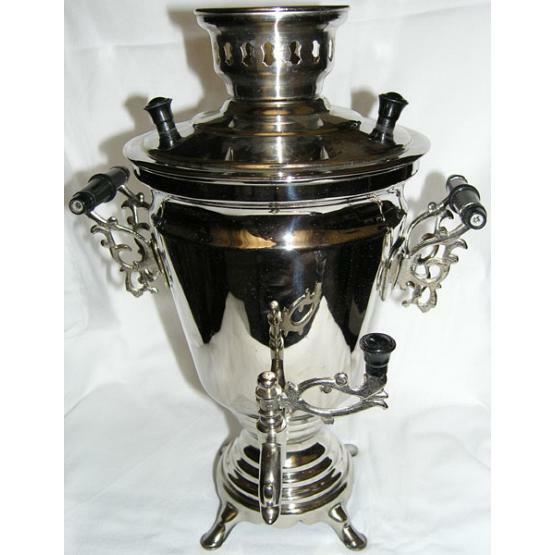 This nickel-plated Russian samovar is an authentic electric Russian samovar (fully functional and ready to make tea) of a traditional shape. 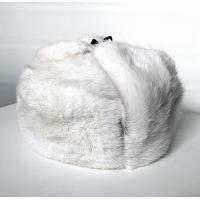 It is 100% original, made and imported from Russia. Would definitely make a wonderful gift to anyone interested in Russian culture. Samovar is a purely Russian invention. It is used for making tea. In the 17th century tea was delivered to Russia from the territory of West Mongolia and it was used as medicine among the nobility. Tea was a competitor of 'sbiten', the most favourite drink in Russia back then. Its components were: hot water, medicinal herbs and honey. In the 18th century in the Urals and Tula samovar-kitchens were invented. They were divided into three parts - two of them devoted to meals cooking, and the third one wholly devoted to tea-making. Sbitennik and samovar-kitchen were samovar prototypes. There were different ways of manufacturing the first samovars. Samovars were produced in the Urals, Moscow, Saint-Petersburg, Tula; and later in Vladimirskaya, Yaroslavskaya and Vyatskaya provinces. The first samovar factory was founded in Tula by Nasar Usitsin in 1778. This town of gunsmiths became famous throughout the world as the center of samovar manufacture. Tula had everything that was needed for such industry: rich ore mines, highly qualified masters skilled in working metals and location (Tula is situated only 200 kilometres south of Moscow). 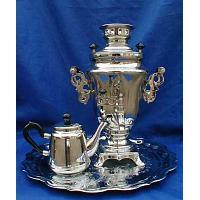 Samovar manufacture soon became to be very profitable. Handicraftsmen were quickly turning into manufacturers; workshops were transformed into samovar manufactures. In 1826 there were only eight samovar factories, whereas in 1896 there were already seventy. Samovars were made out of cupronickel, red and green copper, pinchbeck, and in special cases - out of silver. Some samovars were plated with gold or silver, but brass was always the basic metal. In the course of the centuries samovar shapes changed. By the end of the 19th century the number of samovar types reached 165. Yet, it was almost impossible to fully mechanize the samovars manufacture. Tools used for samovar making were not changing and by hand assembly allowed for only five-six samovars to be produced per day. The highest peak of samovar manufacture in Tula was reached in the 80s of the 19th century. 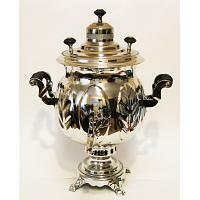 Samovar was not only a feature of home comfort, the symbol of Russian hospitality, but also a kind of a mascot. Among articles of folk domestic art samovars occupy a special place. They are often viewed not only as domestic utensils, but also as real works of applied arts. Each true samovar master always wanted to astonish his customers by his creativity. Conservative design and durability in combination with decorative qualities draw interest to samovars of the people all over the world. Tula samovars were represented at many exhibitions in Russia and abroad. Manufacturers taking part at the exhibitions were constantly awarded with medals, the reprints of which often appeared on their samovars after that. Tula samovars were spread all over Russia. At the fairs one could find samovars of very different shapes: vase-shaped, pear-shaped, wine-glass-shaped, etc. 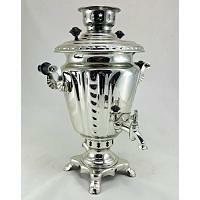 Prices reduction in the process of manufacture caused standardization of samovar shapes. The so-called cylindrical samovars became widely spread. Originally Tula produced coal samovars (the water in them was heated up by charcoal), kerosene samovars and combined variants, the water in which could be heated up by any kind of fuel. Prices were set in direct dependence with shape, material and dimension of a samovar. Simple samovars were sold in bulk. Articles of complicated shapes (presents, samovars made to order) were sold by the piece. During the whole of the 19th century portable samovars were produced in Tula. As a rule, they were multi-sided, cubic and right-angled. Over the two hundred years, production technology improved considerably. Now presses and conveyor lines are widely employed. Casting under pressure is also widespread. At "Shtamp" plant nickel-plating automatic line was introduced. Samovars here are decorated by art rolling. The plant produces samovars of different types: coal (of six versions) and - from 1956 - electrical (volume 2-3 litres; for buffets), combined and painted. Folk traditions keep on existing and developing. Gorgeous samovars - authentic works of art - are still produced in Russia. Samovars are still awarded with prizes and medals at national and international exhibitions.